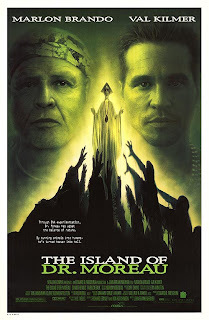 Essential plot rundown: A plane crashed man ends up on Dr. Moreau's island, where some crazy experiments are going down. So, I recently watched The Island of Lost Souls and it made me want to watch this version, which I haven't seen in a long time. And this movie is quite a bit different. The main difference is tone. The Island of Lost Souls has your typical 30s feel to it; I wouldn't mind watching it with anyone. The Island of Dr. Moreau, on the other, is really creepy and unsettling. And this is one of the film's strengths and weaknesses. The things that are happening on the island truly are creepy. And that is made clear. It really does have a creepy vibe. And at some points, it was a little too much. There were a few scenes that made me a little queasy inside. But, I guess some people can handle more disturbedness than others. One of the things that really helps sell the atmosphere is the make-up. 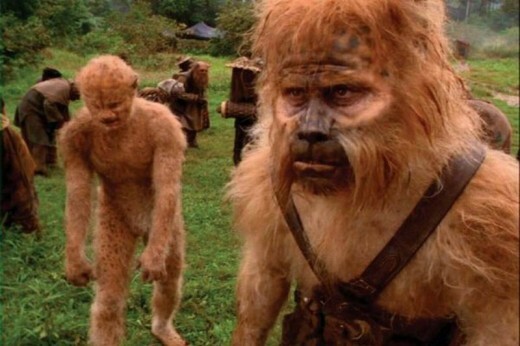 The creature effects are amazing, thanks to none other than Stan Winston. They look pretty convincing. They also got some good actors to wear the makeup. Daniel Rigney was awesome as Hyena. I don't know if he did both the movements and the voice acting but both were really good. There were, however, a few uses of CG animals and they looked horrible. Practical animals: awesome. CG animals: bad. I thought the other non animal actors did good as well. Fairuza Balk is perfect in her role as Aissa. She just has this look about her face that is unique and lends itself to her character. But, I didn't quite understand David Thewlis' (Edward Douglas) and Val Kilmer's (Montgomery) characters. 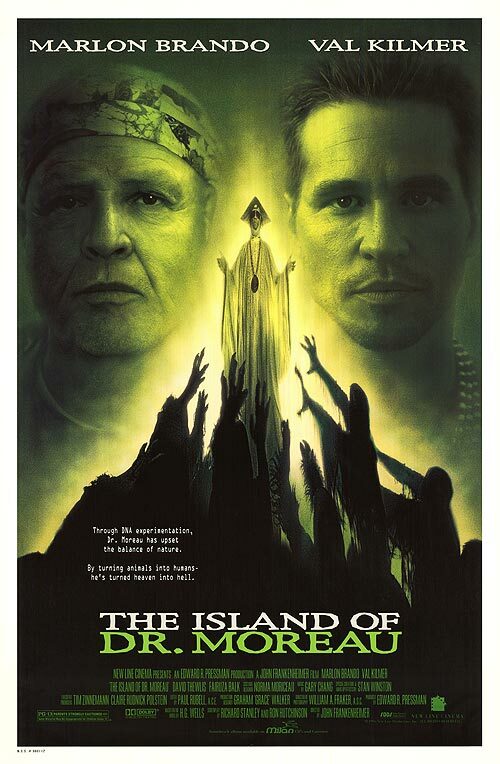 Douglas is stranded on the island and immediately attacks Dr. Moreau. Shouldn't you be nice to him? He is the only way off this island, you know that right? And Montgomery seems to have an agenda of his own, spoiling Douglas' and Moreau's plans. Though, there is one piece of background information that works as a starting point for his motives, but it isn't enough to really explain everything. And there is this weird The Father and law thing going on. I think they were maybe trying to make a point about religion and Christianity but I didn't understand it. It just comes off as kind of harsh. Well, overall it's a good movie, though I would not recommend it to everyone. It has good enough acting and story. But the highlight is the animal effects.